Photography by Megan Futej and Joe Gooding. I’ve fallen in love with many people over the course of this summer, but no romance was quite as fast and intense as the one I entered with the Aperol Spritz. Bubbly, bright and bittersweet, there’s no denying how much excitement a single Aperol Spritz can hold. 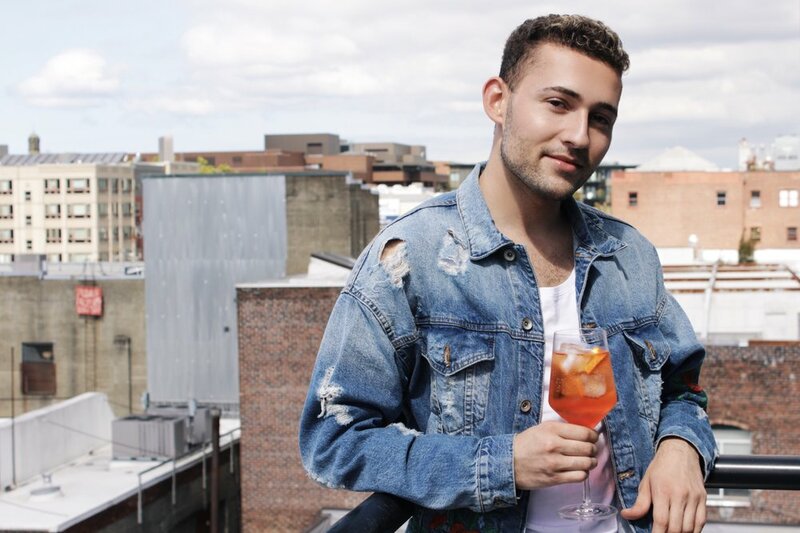 Sipping on this Italian aperitivo makes me feel nothing short of elegant, and that’s why I’ve decided that it’ll be my go-to cocktail this fall. While typically served in a wine glass, you can be creative with your choice of glassware for this beverage. Cut your orange into half circles. Add cubed ice to your glass with a slice of orange as the garnish. Pour two ounces of Aperol into the glass, followed by two ounces of prosecco. Add Schweppes Orange Sparkling Water to taste. While you can use any type of sparkling water or club soda, I love the powerful punch that Schweppes packs with its carbonation and essence of orange. You can find a 12-pack of this beverage at Tal Depot.